Ms Syversten has Ehlers Danlos Syndrome. The syndrome is a degenerative condition which means even when Ms Syversten makes the slightest of movements, her joints can dislocate leaving her struggling and in pain. 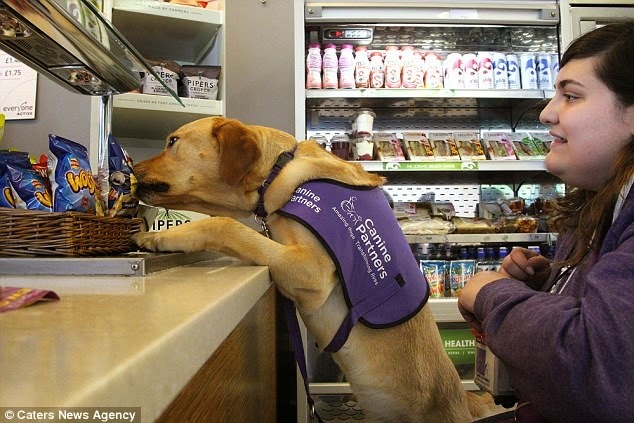 She met Griffin through the charity Canine Partners, who match assistance dogs with disabled owners to make their lives easier. 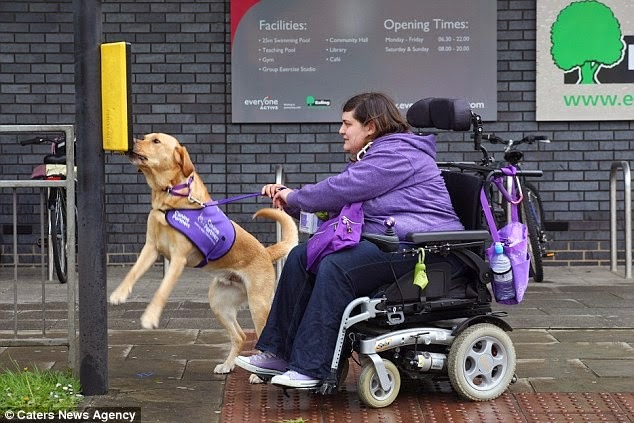 Jenny Moir from Canine Partners said: 'The difference Griffin is making to Clare's daily life is amazing but typical of the hundreds of canine partners working with their disabled partners. 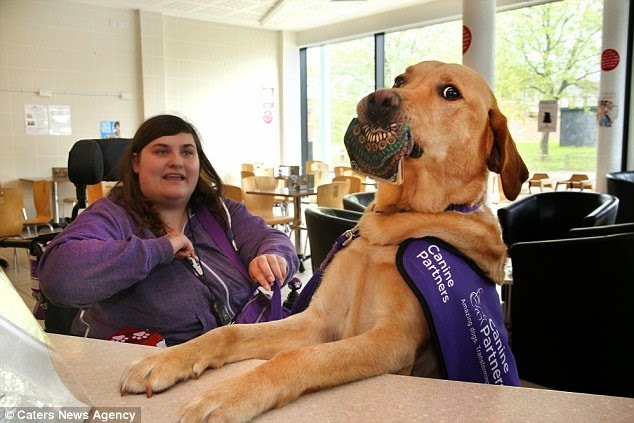 Responses to " Meet Griffin the super dog who'll do anything for disabled owner"